Who’s inside the Russian Doll? New research shows that the US Presidential campaign run by a Russian state-sponsored troll farm was highly professional; this is significant as it makes it more likely that their effort to influence the result in Trump’s favour was effective. How did this troll farm, based in a country with little experience of elections, acquire such political expertise? Last week Facebook provided evidence to the US Congress which confirmed that around 3,000 ads, bought by a Russian troll farm called the Internet Research Agency, reached voters during the US Presidential election. Facebook estimate that 10 million people in the USA saw “at least one” advert placed through an account run by the troll farm. That is a very large number of people when you consider how few voters decided the outcome. There were only 2.8 million votes separating Trump and Clinton in the popular vote: in the closest 10 states the combined difference between them was only 585,319. If the ads seemed as if they were sponsored by cranks (so were likely to be disregarded) and were run against a random selection of 10 million voters, one might assume they made no difference. But research carried out by Jonathan Albright – a faculty associate at Harvard’s Center for Internet & Society and a research director on Digital Journalism at Columbia University – shows the Russian activity was anything but amateur. 1. Set up a series of front groups (470 uncovered so far) designed to appeal to different segments of the population: names of the Facebook Pages include Blacktivists, United Muslims of America, Heart of Texas, Secured Borders, and LGBT United. 2. Write organic posts on divisive issues in ways that are likely to polarise readers (nothing spreads as fast on social media as outrage). 3. Use the data gained from the types of pages and posts that people respond to as the basis for paid-for advertising. 4. Run ads that are tailored to these specific audiences which are designed (according to Albright who has analysed all of them) “to get people not to vote”. Negative campaigning work in lots of ways, but research shows that one of the most effective aspects of ‘attack ads’ is their ability to reduce turnout. Given the sophistication of the Russian troll farm’s approach to targeting, the tight focus of the creative, and the hugely significant number of people reached by paid advertising, it’s hard to argue their campaign had no impact. And that’s without accounting for the organic posts which reached tens of millions. Some suggest Clinton lost because of low Democratic turnout at the polls. States like Wisconsin are cited where in 2016 Trump won with the same number of votes as gained by Romney in 2012 (when Obama won the state). Is it possible that hundreds of thousands of soft Clinton supporters in Wisconsin were the target of the Russian troll farm’s advertising campaign? Absolutely. We will only know if Facebook or Congress make public the targeting used in the troll farm’s ad buys. Would serving a large volume of advertising – specifically designed to convince people with a weak propensity to vote, but with a preference for Clinton – persuade 27,258 Wisconsin citizens to stay at home? It’s certainly conceivable. The sentence “A Russian state-sponsored information war led to the unlawful election of a US President” reads like one from a conspiracy theorist. On the other hand, the statement “tens of thousands of people decided to stay at home, rather than head to the polls, after being bombarded by data-enriched ads deliberately designed to depress turnout” doesn’t seem far-fetched at all. 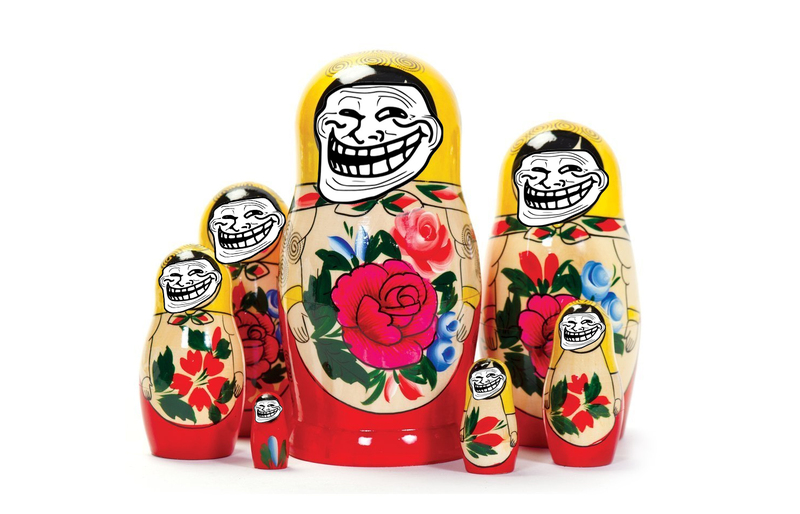 The big answered question remains: was there was any collusion between the troll farm and the Trump campaign and, if not, who’s the political brain inside the Russian Doll? There’s a few more layers still to go. Previous Who should regulate political advertising?